At the end of the day, or more correctly at the end of the year, when the numbers are tallied, the only crash statistics we see are those of actual deaths. But what are the statistics for crashes where the rider survived? We can only guess since that data is not compiled yearly. One thing is for certain however. The number of crashes where the rider survives is significantly higher than the numbers who die. In a current average year, Washington state experiences 65 fatalities. In crashes where the rider survives, it’s likely closer to the high hundreds if not in the low thousands. Combine Idaho’s and Oregon’s numbers together and you get about the same counts. All this boils down to a lot of needless pain, expensive hospital bills and time spent away from living life normally. In a recent Washington State study, it was identified that more than 30% of the riders on the road did not have endorsements. In 2007, the state enacted several programs designed to get more riders endorsed including a number of TV campaigns and pressure on the State Patrol to impound bikes of riders who cannot produce an endorsement when being pulled over for a violation. This bill will require any dealership selling motorcycles to verify the purchaser has a current motorcycle endorsement prior to riding the bike off the lot following the sale. It does not restrict the dealer from selling the purchaser a motorcycle, rather leaving the option open for the dealer to deliver the bike to the purchasers home or allowing the purchaser to remove the bike from the lot via a pickup truck or other loading vehicle. A third option is written into the bill that a purchaser may allow an endorsed rider to take the bike off the lot for them. Our take: We think it’s a good move. While some will be upset that they can’t ride off on their own it will go a long way in getting the message across to the consumer that required endorsements are just that – required. At the same time, it allows a collector who may not be a rider to still purchase his next collectible. Where has this one been? We’ve been waiting eons to see it come around. If cagers have to have insurance in the state why not motorcyclists? This bill would require that all motorcyclists carry a basic liability policy. In the Northwest, Washington is the only state not to require it. Our take: This makes good sense to us. Imagine coming around a corner and running into a five year old crossing the street. Who’s going to cover the expenses of putting the kid back together again? The parents, the rider or…? This bill would require that all riders take a State-approved safety course at least every five years. Their first course must be the State-approved novice course, while successive classes would be limited to a simple one day intermediate update class once every five years. 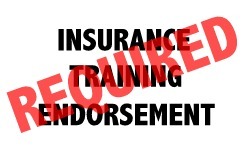 All riders with current endorsements would be grand-fathered in and not be required to initiate their proof of a class with a novice certificate – a simple intermediate class certificate will do. All in all, the bills make sense. The trick now will be keeping certain members of the house and senate from jumbling these bills up with extraneous language in an effort to boondoggle them on their way to the floor. To view the bills in their entirety CLICK HERE now.